Meet our two new pets. 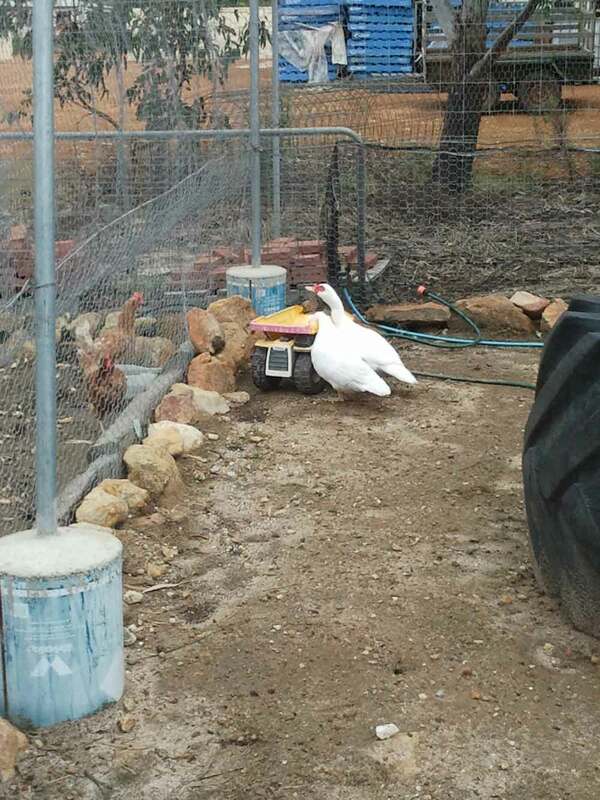 We were given these two ducks with some extra hens. 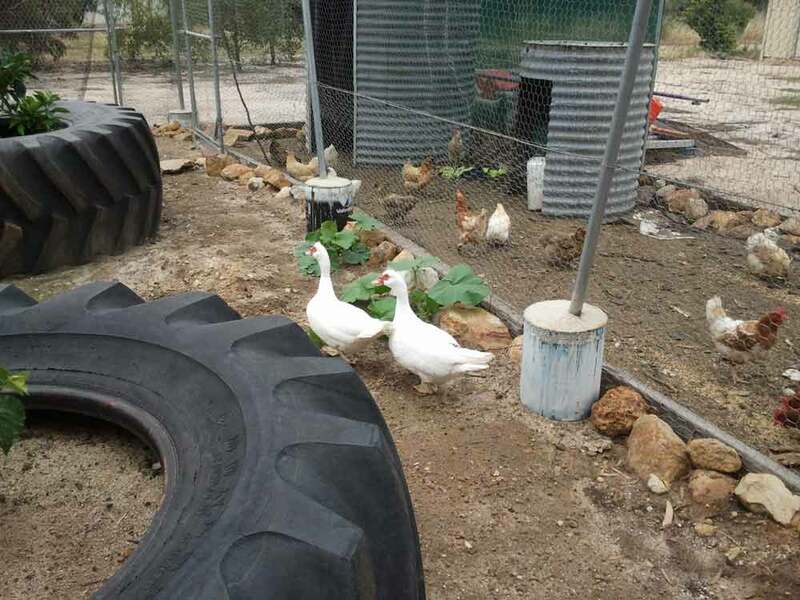 I’ve got small bantoms, so the new larger hens are trying to rule the chook pen. Bossy things they are. These two ducks I’ve put in our fruit tree area which didn’t have a water source. For the time being my sons toy truck will have to do. I found a duck egg under the grape vine this morning…can you spot it? 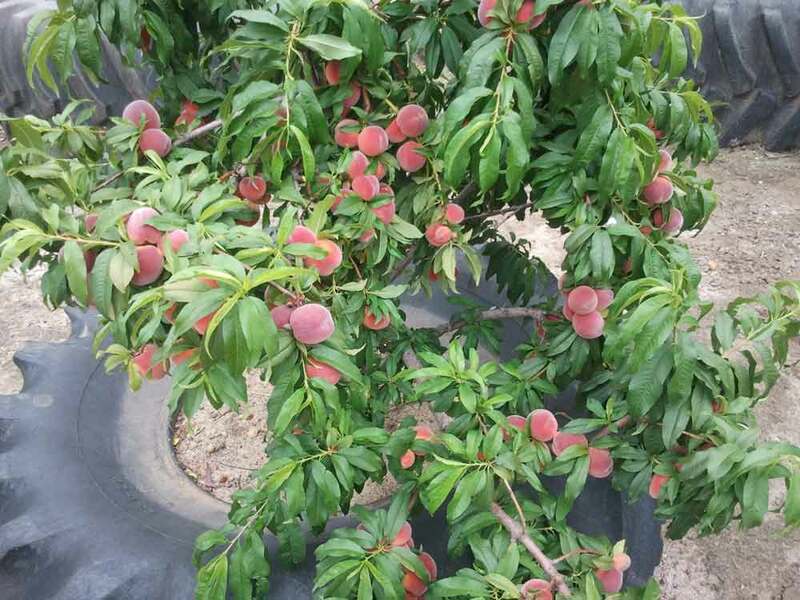 I’ve just started picking some of the ripe apricots and a few peaches. The poor tree is loaded. Yum, just love summertime when all the fruit is ripe. And here’s some other things we have been busy at. 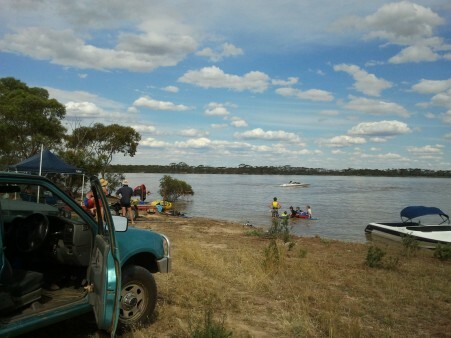 With lots of full lakes around we now have a place to take the kids for a swim. My dad sold his boat years ago so lucky we have great locals who are happy to tow us around the lake for a ski. It was gorgeous yesterday for the lake, but today is back to overcast with rain for the next few days….Like we need anymore!!! And its that time of the year again! Christmas. 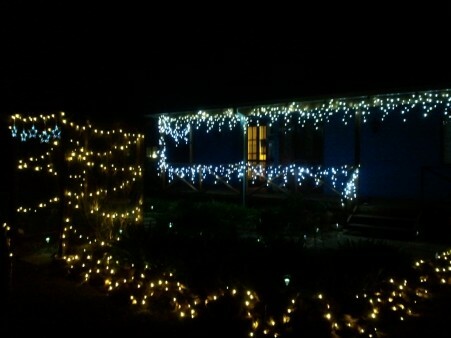 So we have done our bit and hung up some lights so Santa can find his way to our house. These LED lights are so bright!! Not the best of photos, but you get the jist. Love the solar lights, saves on all the power cords.